REGGIE YOUNG PLAYED GUITAR ON LITERALLY THOUSANDS OF RECORDS OVER THE YEARS. ..
time, Reggie had been using a thumb pick like his idol Chet Atkins, and it was King who convinced him to use a flat pick instead, opening up a whole new world in the process. Before long he was recruited by Arkansas hillbilly hero Tommy Trent to join him on his popular live show on KATV in Little Rock. Back in Memphis, he would cut one of his first sessions, backing Barney Burcham with The Daydreamers on Meteor in 1955. In '56, he was invited to join Eddie Bond and The Stompers, a popular outfit that was tearing it up in the clubs. Reggie's first recording with the band, Rockin' Daddy , was picked up by Mercury and became a strong regional seller. 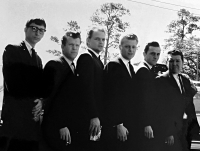 He was soon criss-crossing The South in rockabilly package tours with folks like Johnny Cash and Carl Perkins. 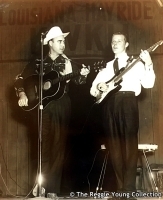 Johnny Horton, who was riding the C&W charts with Honky Tonk Man , was also on those tours, and soon hired Reggie away from Bond as his new guitar player. 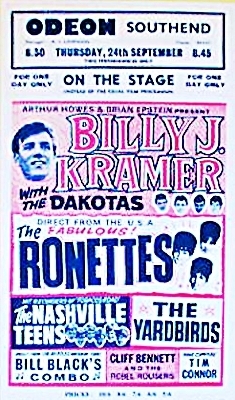 Along with Horton's bass player (and manager) Tillman Franks, they performed as a trio in the shows from that point on. 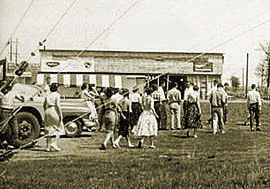 In 1957, Reggie would move from Memphis to Shreveport, Louisiana where he would be featured alongside Horton on the wildly popular Louisiana Hayride. He also continued to tour with other Hayride artists, which soon began to take its toll. Returning home to Memphis, he was offered a job playing in the 'house band' at the Hi Records studio by Bill Black, Elvis' former bass player. Tired of the road, Reggie jumped at the chance. As the story goes, one day he decided to tune the strings on his guitar way down low, and the rest of the band soon joined in. A representative from London Records, Hi's distrubutor, heard it and proclaimed the record a hit! He was right, of course, and Smokie - Part 2 became a national sensation shortly after its release in December of 1959. With the record in the top ten, Bill Black's Combo, (as they were now known) was invited to perform on American Bandstand that Christmas. Reggie was on the verge of stardom, but his Draft Board had other ideas. He was inducted into The Army in early 1960, and sent to Kagnew Station in Ethiopia, where he kept up his chops playing with The Tiny Stoops Band, among others. After his discharge, he returned home to Memphis. thought the 'BBC' on their band jackets stood for something else! With Hurricane Dora bearing down on Jacksonville, Florida, where they were scheduled to play on September 11th, the tour made a detour to Key West where both bands holed up in a hotel for a legendary 30 hour jam session. There's no doubt that Young influenced the young George Harrison, who would switch the gauge of his guitar strings to emulate Reggie from that moment on. 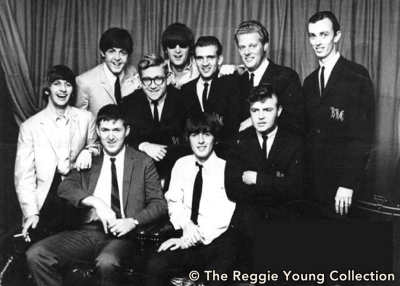 Part of the contract with the UK promoter included a subsequent tour of Europe that Fall, in which Reggie would get to meet and hang out with another up and coming guitarist, one Eric Clapton, who was then a member of The Yardbirds. 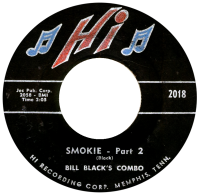 Back in Memphis, The Combo, which now included keyboard player Bobby Emmons, continued to be Hi's studio band, as well as 'playing out' behind their sax man Ace Cannon. Willie Mitchell, who led one of the most popular R&B bands on 'the circuit', was now also a regular at the studio, and the smokin' instrumentals he cut there would feature Reggie on guitar. When Willie began producing his first Memphis Soul records at the studio on local talent like Don Bryant and Norman West, Reggie was there. After Mitchell made a deal with Texas record man Don Robey to cut the great O.V. Wright at the studio, it is Reggie's guitar that can be heard on those timeless 45s. 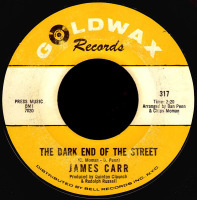 Goldwax founder Quinton Claunch had been recording at Chips Moman's American Studio across town, but when it came time to cut Moman and Dan Penn's classic The Dark End Of The Street , they came to Hi and used Reggie and the band. Moman knew Reggie since his Rockabilly days, and had offered him the job as guitarist at American for years. 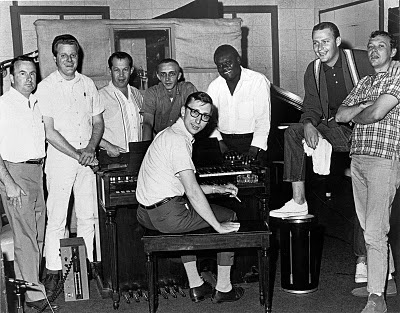 When Hi producer Ray Harris threatened to cut their pay scale from $15 a song to $10, Reggie (along with Bobby Emmons, Tommy Cogbill and Mike Leech) jumped ship and joined Moman's crew. 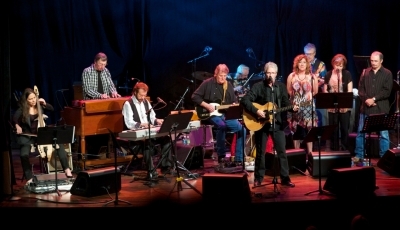 With the addition of Sun drummer Gene Chrisman and pianist Bobby Wood, the stage was set. In addition to continuing to cut great Soul and R&B on artists like Wilson Pickett, Joe Tex and Bobby Womack, over the course of the next five years American became known as the Home of the Hits, as over 120 chart records were cut there. From The Box Tops to Dusty Springfield, Neil Diamond to Elvis, Moman was delivering the goods, and Reggie's guitar (or sitar) rang out on every hit. American closed its doors in 1972, after Chips decided to move his operation to Atlanta. Reggie hung in there with him for a while, but nothing much was happening. Moving on to Nashville, he called his friend from Muscle Shoals, David Briggs, who had opened his own studio, Quadraphonic. Briggs told him there was plenty of work to be had, and got him together with producer Mentor Williams. 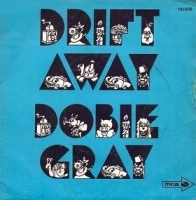 The resulting absolute classic, Drift Away by Dobie Gray, soared straight into the top five and put Reggie 'on the map' on Music Row. Reggie's ethereal guitar licks soon had him working all over town, often cutting three sessions a day. By 1975, his old friend Chips Moman had made the move to Nashville as well, and re-opened his American Studio there. His first order of business was to reunite B.J. Thomas with Reggie and the band he had recorded his hits with in Memphis. 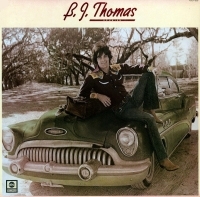 The resulting LP (aptly titled 'Reunion') went straight into the top ten on the Billboard Country charts, and included the smash hit that would win The Grammy for Country Song of the Year. 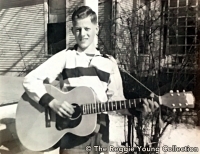 In addition to working with more mainstream Country artists like George Jones, Tammy Wynette and Dolly Parton, Reggie soon became the go-to guitar player for 'outlaws' like Merle Haggard, Waylon Jennings, Jessi Colter, Willie Nelson, Johnny Cash, and Kris Kristofferson, all of whom would cut hit records at Moman's studio in the late seventies and early eighties. Number One songs like Luckenbach, Texas , Pancho and Lefty and Always on My Mind will, quite simply, live on forever. 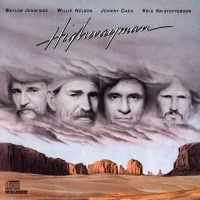 When Jennings, Nelson, Cash and Kristofferson formed their 'Supergroup' The Highwaymen in 1985, it was only natural that they would choose Reggie Young to be their guitarist. The resultant Moman produced album, Highwayman (as well as the single of the same name), predictably went straight to the top of the Country charts, and in 1990, Highwayman 2 wasn't far behind. Although Reggie was still working as much as ever, he agreed to tour with them, and performed around the world. Reggie continued to be in demand as Nashville's premier session guitarist, and cut albums with 'new' Country stars like George Strait, Travis Tritt and Reba McEntire, to name a few. 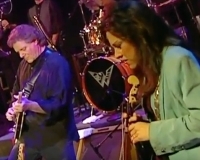 When Waylon Jennings put together his Waymore Blues Band in 1999, he asked Reggie to join him on tour. 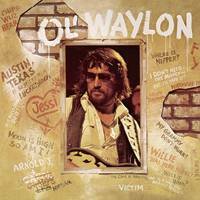 It was Waylon who introduced him to the woman who would become his Soul Mate, the band's cellist Jenny Lynn. During the last decade Reggie, reunited once again with the fabled 'Memphis Boys', has performed sold-out shows in Europe, as well as closer to home in Franklin and Memphis, Tennessee. He recently completed work on his first ever solo album, Forever Young, which was released in 2017. 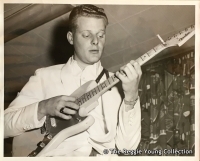 From the early days of Rockabilly to the dawn of Memphis R&B and Soul, Reggie Young was there. 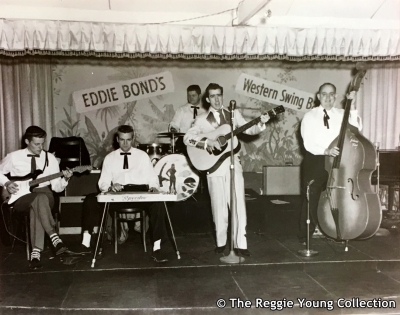 From Top 40 Pop hits to gutbucket Bar Room Juke Box Country, Reggie Young was there too. Few, if any, guitarists can lay claim to the amount of chart success he has had over the years, in virtually every genre imaginable. He was indeed America's Guitar Player, and this site is dedicated to the monumental body of work he created. Let's listen to it all!